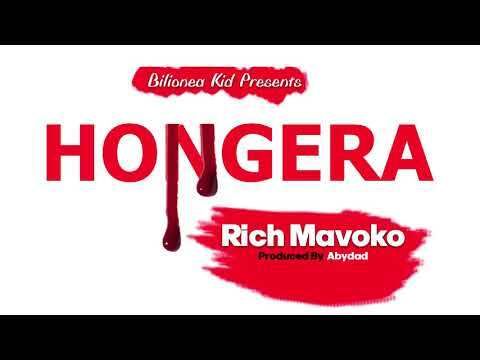 Wasafi Records man, Rich Mavoko returns to the music front with a new offering titled “Hongera” that comes as his first offering this month and it is fire. Produced by Abydad, the song comes as successor to “Ndegele” released by Rich Mavoko late last month with production credit going to the same Abydad, and which is still getting rave reviews from fans and music pundits alike. Richard “Rich” Mavoko who warmed his way into our hearts with hit single “Moyo Wangu” took the music scene by storm years back and has won the heart of Africa with hit single “RohoYangu”. The “Marry me” crooner, Rich Mavoko was featured on Kenya’s Kaka Sungura’s song “Njoo” and was signed to the Kaka Empire Records after the musical release, despite his being Tanzanian. Rich Mavoko however did not renew his contract and for reasons we still don’t know has opted to move back home, signing with Diamond Platnumz’s label, Wasafi Records. Wasafi Records is the first ever record company in Tanzania owned by an artist. It was a pleasant surprise that King Kaka, his former record boss seems to bear him no ill will, congratulating him on Instagram. Rich Mavoko has made his mark with singles and collaborations like, “One time”, “Nataka”, “Kokoro” featuring Diamond Platnumz, “Pachuu Wangu” produced by Mazuu and lots more. Rich Mavoko who has served us hit songs like “Ndegele”, “Happy”, “Doro” in the last two months alone brings it home again with this one and we are sure it’s going to get a lot of playtime. To get a feel of it, stream or download here and remember to share your thoughts in the comments section.